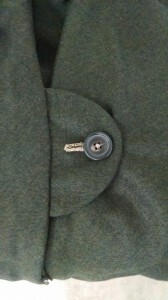 The piece uses conductive thread to create a switch using a standard button. 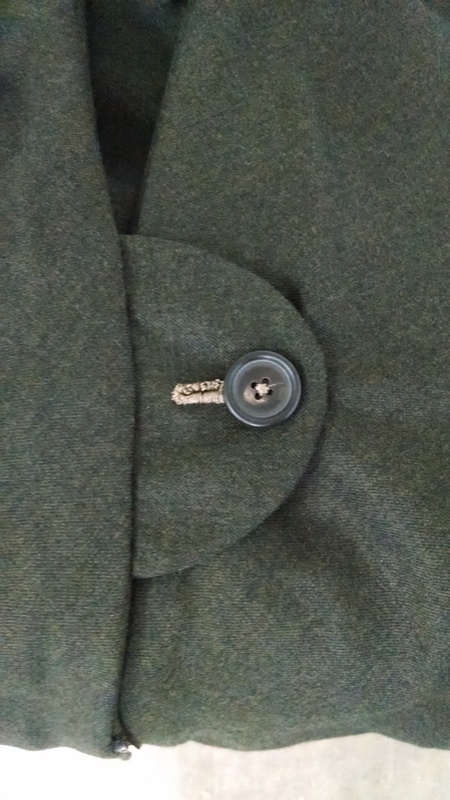 When the button is in the “button hole” the 2 parts connects and therefore could be used as a switch. this is actually an old technique that i incorporated on my recent work where a cape produces diferent sounds depending on the way you close the buttons and fasteners.